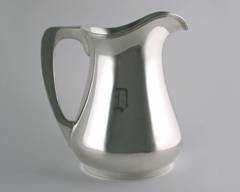 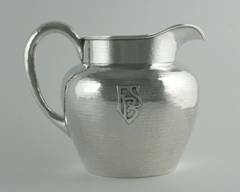 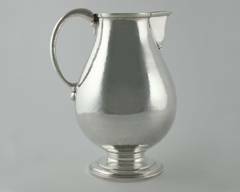 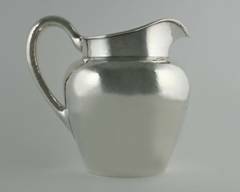 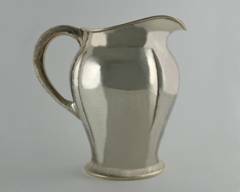 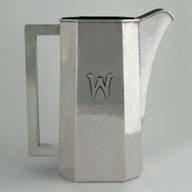 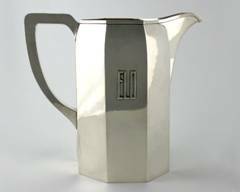 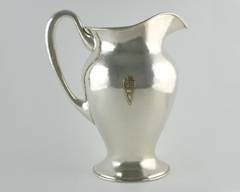 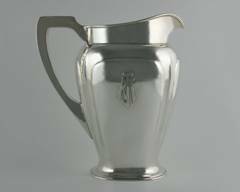 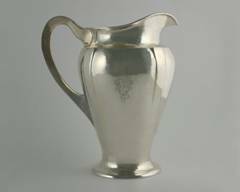 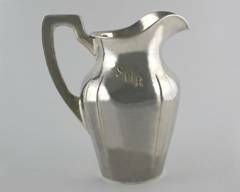 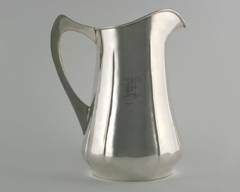 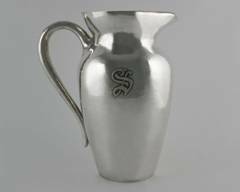 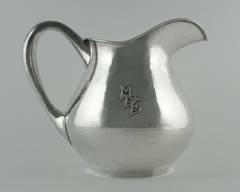 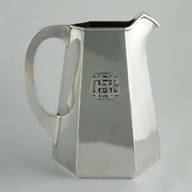 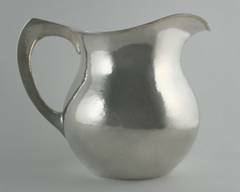 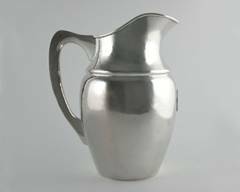 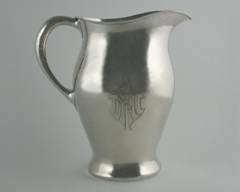 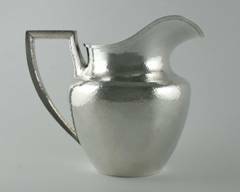 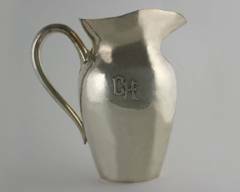 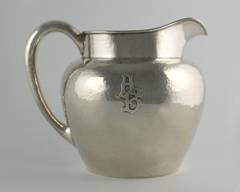 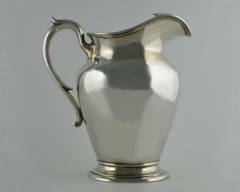 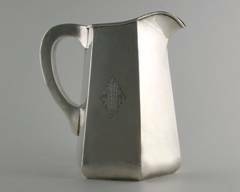 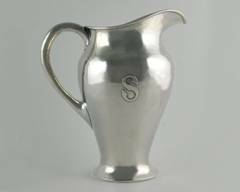 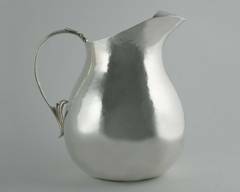 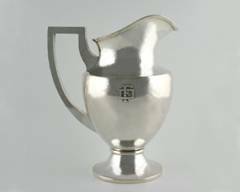 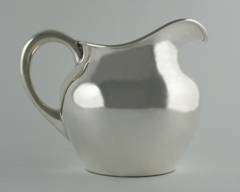 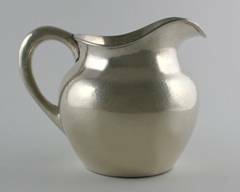 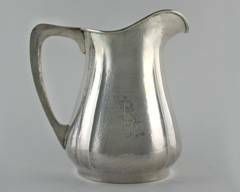 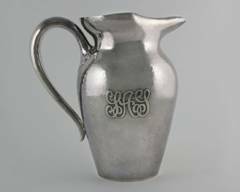 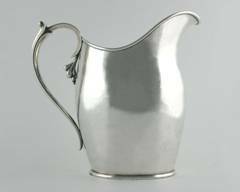 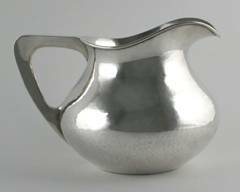 Arts & Crafts pitchers are among our favorite silver objects. 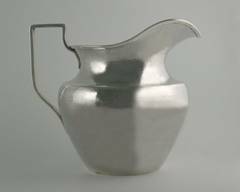 The forms were very different -- some were paneled, some bulbous, some tapered and slender, some footed, some with flat bottoms. 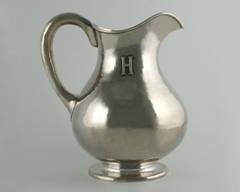 Most had wonderful hollow handles, elegant proportions, and finely hammered surfaces. 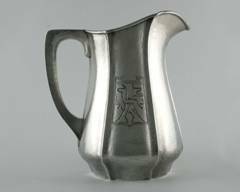 These pitchers were both utilitarian and attractive, following the William Morris Arts & Crafts tenet "Have nothing in your house that you do not know to be useful, or believe to be beautiful." 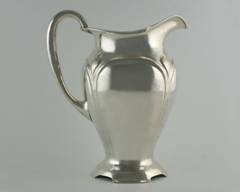 To see examples from the makers below, click on the thumbnails. 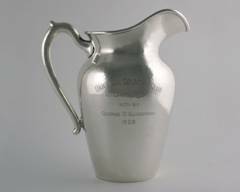 For an index of Kalo pitchers, click here. 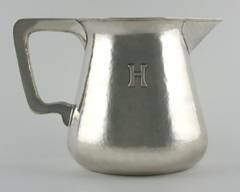 Click on a thumbnail above to enlarge a particular photo.